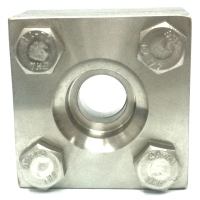 Having difficulties looking for square flanges? We can help you because we have all sizes. Chuan Kok is a distributor and stockist of KPL Industry Co., Ltd Products. Our KPL products range include square flanges for 210 Bar applications and hammer union.